A self-styled accident choreographer, the Brain is a professional hitman who kills his victims by trapping them in well crafted accidents that look like unfortunate mishaps but are in fact perfectly staged acts of crime. Perennially plagued with guilt, he is also suspicious and morbid by nature. The recent avalanche of memories of his lost wife does not make things any easier. After one mission accidentally goes wrong, causing the life of one of his men, the Brain is convinced that this accident has been choreographed: someone is out there plotting to terminate him and his team. He becomes increasingly paranoid, walking on the thin line between reality and delusion. 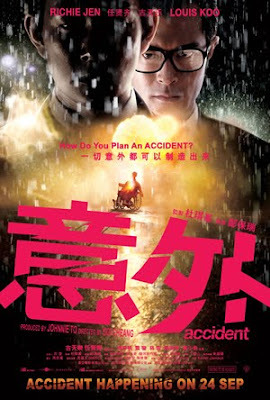 When he is accosted by a mysterious insurance agent Fong who happened to be on the scene of the accident as well, the Brain becomes obsessed that this man must be the mastermind behind a conspiracy to take him out. To regain his sanity and to safe his life, he must strive to kill Fong before he makes his next move.